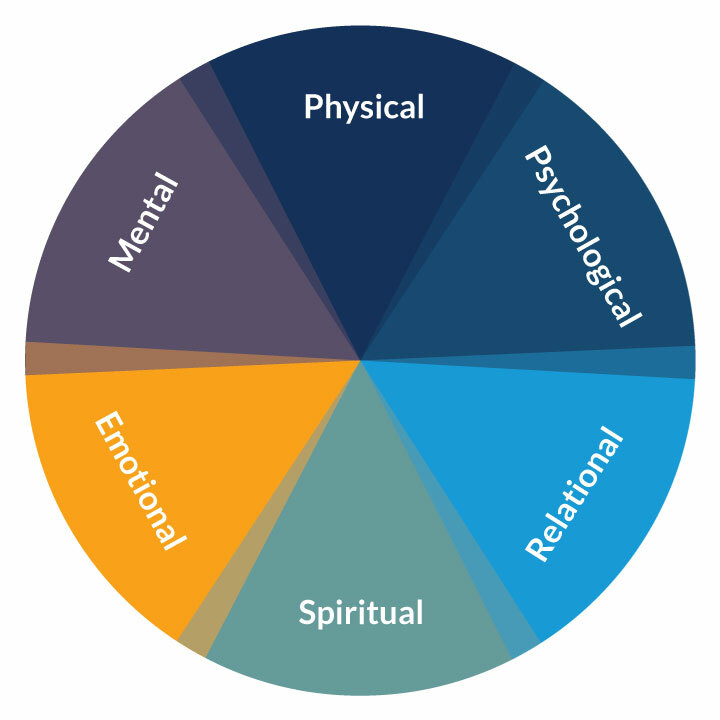 Over his decades of practice, Dr. Willey has identified a paradigm for visualizing how holistic living impacts at least 6 core areas. 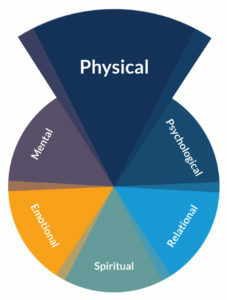 Certainly, physical health is the most visible of these areas, and yet they each affect the others in significant ways. Unfortunately, much of today’s fitness and healthy living advice is outdated. Our society has changed so rapidly in the last decade due to increased technology use, higher toxin levels, and more. Yet we’re still exercising and eating based on outdated information. Often, we’re doing more harm than good. The world is so sick of all the diet and exercise recommendations. So much so, that no one believes anything anymore and, candidly, it doesn’t work. We were a different society ten years ago with different stressors and different issues. HPA Axis or cortisol. Our lives, health, and happiness are dictated by stress. We are in a completely different world then we were 10 years ago due to our stress level. Health and happiness are difficult to obtain when stress rules your life. We can’t change your stress, but we can change the way your body and brain deal with it. This is an absolute in the quest for health and happiness. Hormones. Hormones are the messengers of the body. They dictate function, energy, mood, and optimal hormonal health is essential to total health and happiness. Dr. Willey has been helping clients optimize their hormones for over 20 years. This is an essential step in holistic health and happiness. Gut Health.The gut has finally been recognized as having an essential role in all aspects of health, happiness, and daily living. Stress (high cortisol), antibiotics, processed foods, and toxins in our environment destroy the essential gut bacteria and that has downstream effects on every aspect of health and happiness. Toxins. In 1987 the Environmental Protection Agency (EPA) stated that all American adults have at least 700 toxins in their body. That was 30 years ago. Since then it has been estimated that the environment takes on another 80,000 toxins each year—the majority of which are not evaluated by the FDA for human safety. Toxins play a major role in your health, ability to obtain the body you want, and even effect your happiness. Understanding this and knowing the steps in correcting it are essential for optimal living today. Oxidative Stress. Have you ever left a shovel outside in the rain? It rusts – so does your body unless you keep it protected from oxidative stress. Heart disease, cancer, arthritis, weight gain – oxidative stress has a role in all of these. Knowing how to protect yourself from oxidative stress and heal from the past effects of it on your body are essential to your overall health and wellbeing. Some voices today are finally recognizing the importance of one or even a couple of these, but Dr. Willey takes all into consideration, and has for decades, with a fully integrated approach. What Dr. Willey has learned after decades of hands-on medical practice, is that what our bodies need most to perform in their peak state is the opportunity to recover from all the stressors. Rather than giving you a lot of “Don’t do this” and “Stop doing that” and insist you do everything perfectly (nobody really does that anyway), Dr. Willey helps position people to thrive and to recover from less-than-ideal choices and life stressors. It’s not about being perfect but living realistically in a holistic, healthy way. Physical health is often the gateway to dealing with other, deeper life issues. When you realign your lifestyle, the changes don’t only produce tangible physical health benefits. They also position you to enjoy success in the other five areas of holistic health. That’s why Dr. Willey wants you to live a holistic, healthier life—so you can start enjoying a happier, more meaningful life and realize your fullest potential. Join the community and get Dr. Willey’s Peak Energy Quickstart Guide for FREE.